Yet again, we love the wagon version the most. When the new Audi Q5 – which just recently made its world debut at the Paris Motor Show – gets to dealerships, it will most likely outsell the 2017 A4 Allroad by 14 to 1. 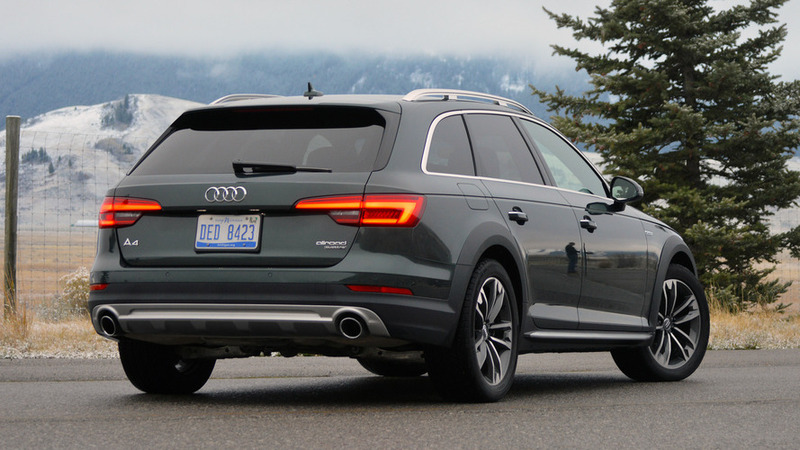 Hell, even if the Allroad blows the doors off its sales projections, the Q5 is still likely to beat it 10 to 1. That’s a strong statement on the part of the buying public. I’ve been writing about and reviewing new cars for more than a decade, and I still can’t quite grasp why that is. The wagon variant of the new A4 is good looking inside and out, it carries all of the cachet that the white-hot Audi brand brings to every segment these days, and it’s every bit as practical as a compact crossover, if not more so. 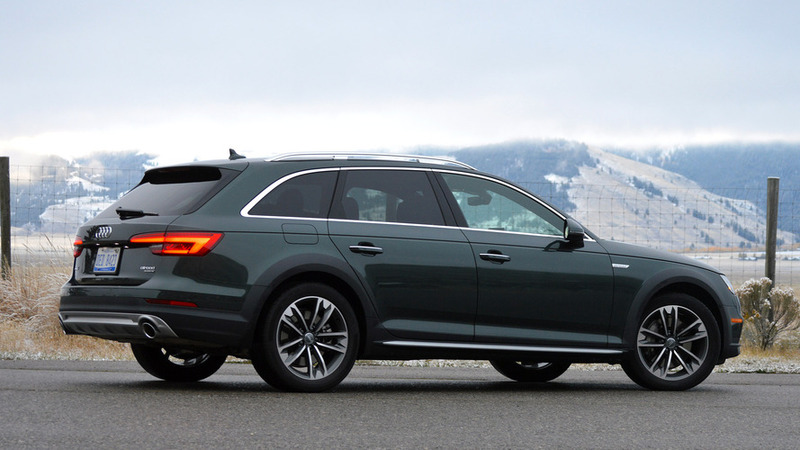 But the slightly raised seating position and blander form factor of the Q5 somehow make it a best-seller, while the Allroad is relegated to excellence in niche form. But excellence, nevertheless. 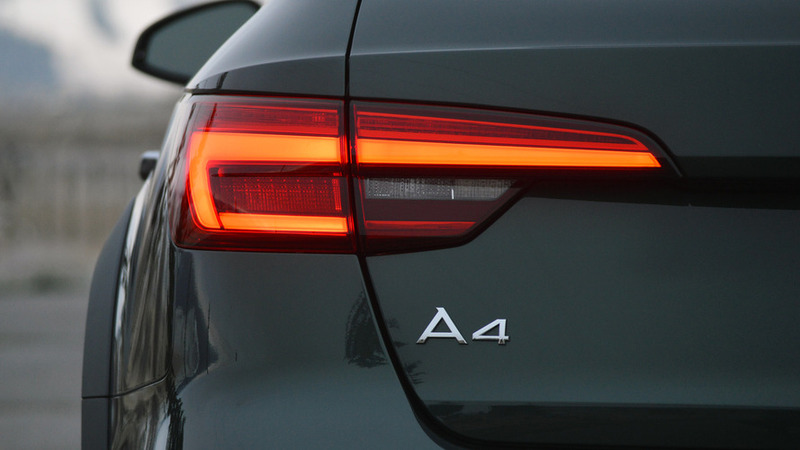 By now you may have seen, driven, or at least read about the all-new A4 sedan. If so, you’ll probably have the sense that it’s a ball-out-of-park effort for Audi, with potential to be the best car in the compact executive segment. The A4 Allroad, as you’d expect, builds on that strong foundation by adding a tremendous amount of utility. The new Allroad wagon is, to my eyes at least, one of the finest shapes Audi designers have penned in quite some time. The new Allroad wagon is, to my eyes at least, one of the finest shapes Audi designers have penned in quite some time. Where the sedan is a conservative, well-detailed effort, this tall wagon variant seems to fill out the proportions described by the front end perfectly. The impressively increased back section doesn’t seem at all heavy or tacked on, instead giving the A4 a more aggressive stance and look of purpose. Audi has finished the boot of its new wagon rather nicely, too. The luggage cover operates automatically, so there’s no fussing with a window shade-like apparatus every time you load groceries, and there’s brilliant illumination back there thanks to trim, LED strips. Good news for people like me, who routinely lose the odd pear or pack of gum when unloading the shopping. Quattro Ultra felt seamless for me in both performance driving and on the many miles of slippery mud I traversed on Wyoming tracks. 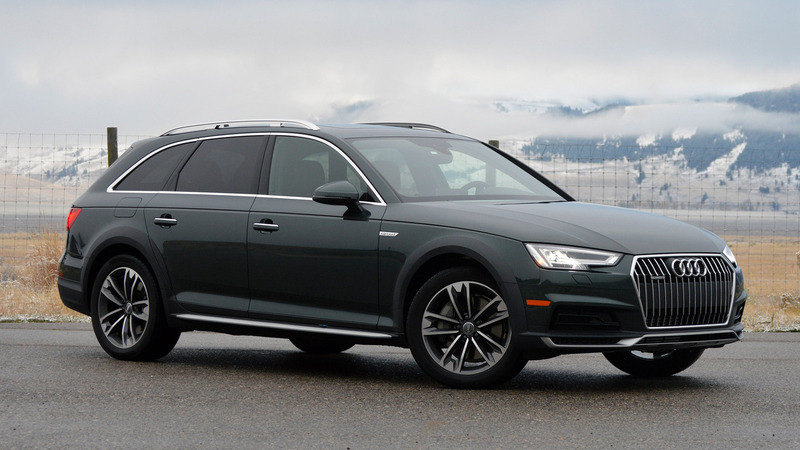 The A4 Allroad would simply be a station wagon (or Avant in Audi-speak), if it weren’t for a dash of improved off-road ability, something that was borne out on my daylong drive in the wild vicinity of Jackson, Wyoming. 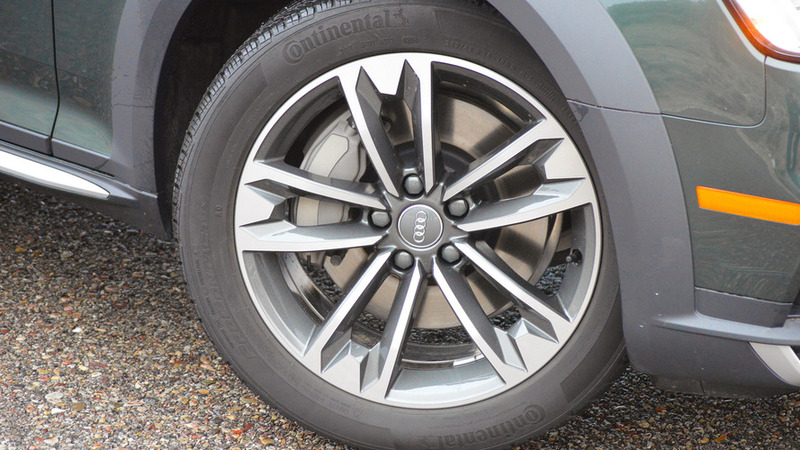 The Allroad boasts some 1.3 inches (34 millimeters) of added ride height, thanks to a slightly taller suspension and a tire with more sidewall. That’s not enough space to start rock crawling, I’d wager, but it was quite helpful as I drove on and off roads by way of steep banks and muddy ruts. There was a dusting of snow (and buckets of sleet) over my route, too, reminding me that the higher bodywork of this A4 will be appreciated when the first deep snow falls. 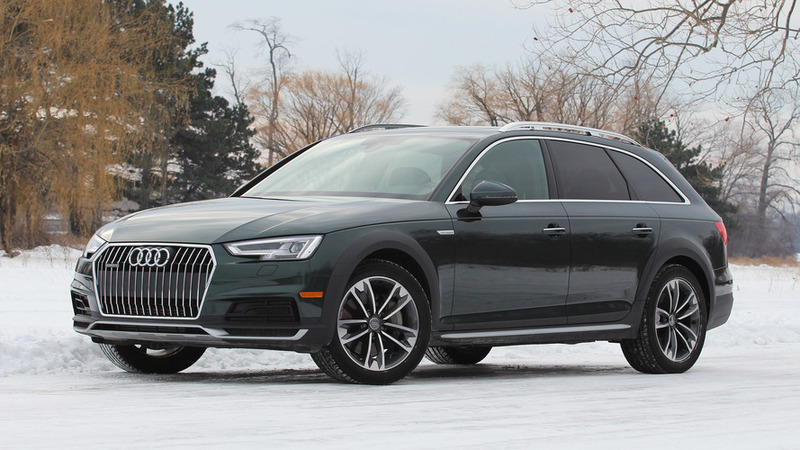 Every Allroad will ship with the newest version of Audi’s all-wheel-drive system, too, now called Quattro Ultra. The big news here is that the driveshaft can be completely decoupled, front to rear, allowing for a two-wheel drive mode when no loss of traction is detected. That, in turn, really helps the efficiency of the car in the very frequent cases where AWD isn’t actually needed. Audi calls the new Quattro “predictive” insofar as it’s constantly reading things like driving style and road conditions to be able to re-attach the prop shaft in just milliseconds, and deliver up to 100 percent of the torque to the rear wheels. Even trying some full-throttle starts, and mid-speed hard acceleration runs, I was never able to really trick the system into bad behavior. Of course, new-flavor Quattro also comes with torque vectoring; the system felt seamless for me in both performance driving (I found a few hard corners in the dry) and on the many miles of slippery mud I traversed on Wyoming tracks. 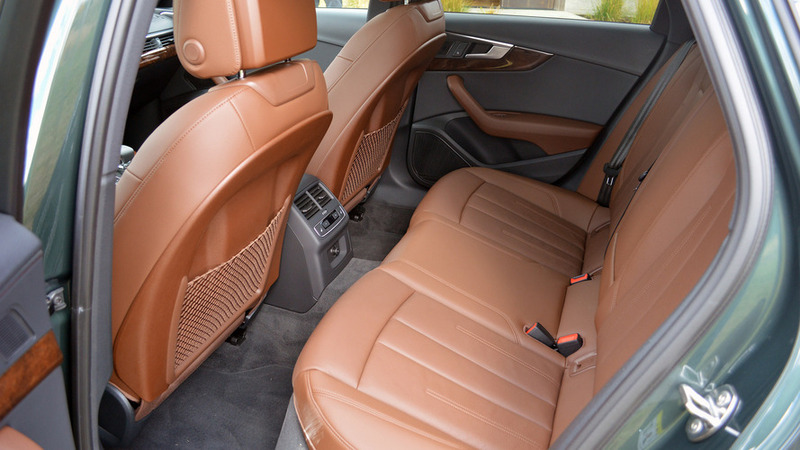 The cabin here is an exact replica of the A4 sedan, meaning terrific craftsmanship is evident in most of the surfaces you see and touch. A lot of that mud made it into the Allroad cabin by the end of the day, but, perhaps because I was swept up in the adventure of the place, it seemed at home. 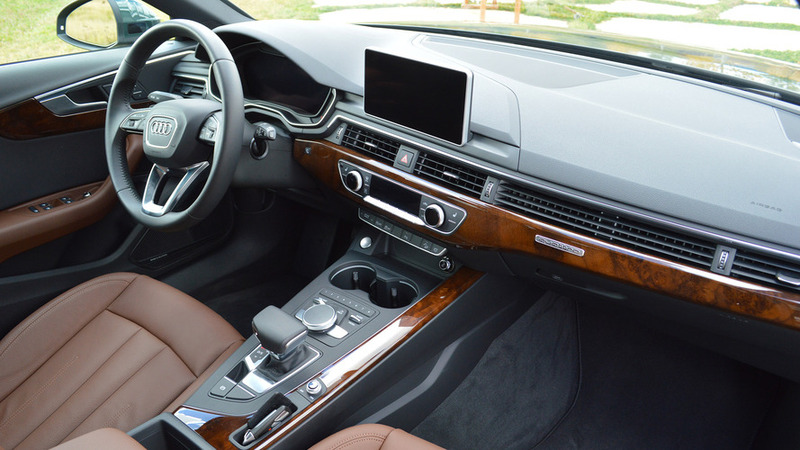 The cabin here is an exact replica of the A4 sedan, meaning terrific craftsmanship is evident in most of the surfaces you see and touch. 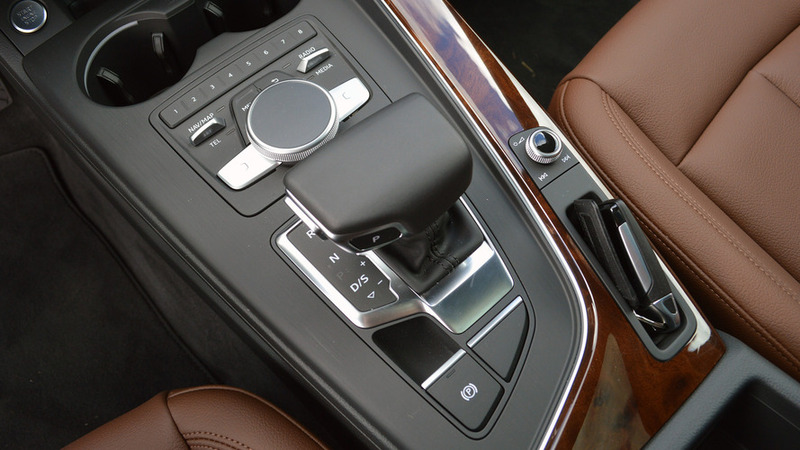 The dark, glossy wood trim pieces are kind of strikingly conventional against the backdrop of Audi Modern – the techy center console and dominating Virtual Cockpit display playing nicely against a bit of old-world luxury. Perhaps my only complaint about this cabin is that the leather is a little plasticky; certainly not enough to put me off driving the car. In fact, driving is rather entertaining, both in the slop and in the dry. 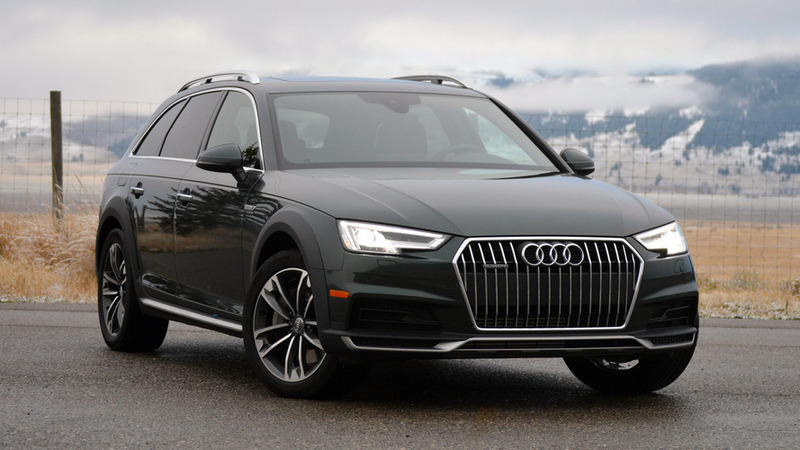 The Allroad is powered by the same satisfying turbocharged, 2.0-liter four-cylinder you know and love from the standard A4, making an identical 252 horsepower and 273 pound-feet of torque. And performance is basically identical, too. The longer Allroad (though only by one inch overall) weighs 199 pounds more than the all-wheel-drive version of the sedan, and has a 0-60 time increase of 0.2 seconds as a result (5.9 seconds for the Allroad vs. 5.7 for the sedan), but the difference is basically nonexistent in the real world. The car feels punchy and smooth to accelerate, especially from middling speeds up to higher ones. That this compelling package of style and function probably won’t sell more than 3,000 or 4,000 units per year in the U.S. is baffling. 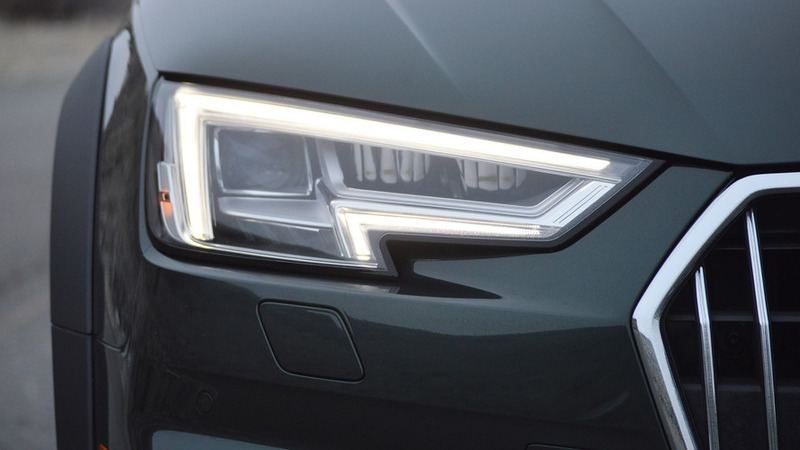 Neat and tidy handling, with quick but slightly dead steering, completes the Allroad package. This isn’t exactly a driver’s car, per se, and slightly less involving over the road than the competitive 3 Series wagon. But it’s fun and capable to drive briskly, and does reward you with athletic repossess to quick inputs when you push it. I’ll admit that, between a moments of playing rally driver on mile after mile of wet dirty road, and exploring the emptiness of the regions paved courses, I probably disturbed a cow puncher or two. I also scared two horses… and I still feel bad about it. Suffice it to say, you can have some fun here. That this compelling package of style and function probably won’t sell more than 3,000 or 4,000 units per year in the U.S. is baffling. But perhaps that’s an opportunity, not a tragedy. A chance to own something just as practical as your average luxury crossover, but more interesting for its relative rarity. 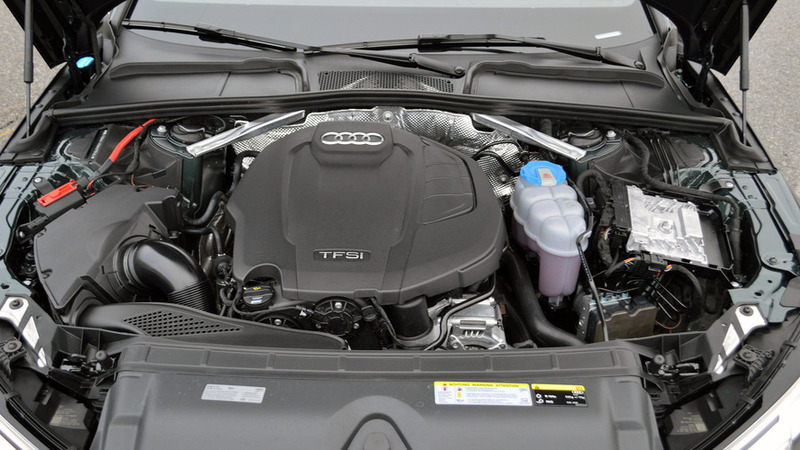 If you’re in the market for right-sized utility, think a little left of center... let your neighbors buy that new Q5.